Disclosure: I am participating in the Chicken Farmers of Canada campaign managed my SJ Consulting. I received compensation in exchange for my participation in this campaign. The opinions on this blog are my own. I can’t wait to host holiday parties this year in my new kitchen! We renovated the kitchen in June (what a crazy process!) and I’m loving cooking in it. I can’t wait to share it with my family and friends. 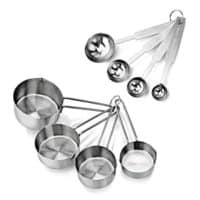 I also bought all new appliances and have been giving them a workout with all the recipes I’ve been whipping up this year. 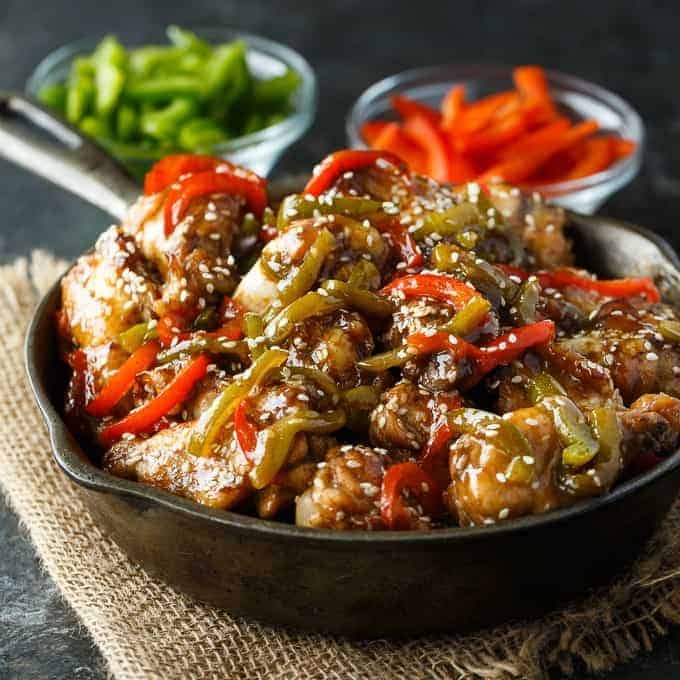 I found the perfect appetizer recipe from my friends at the Chicken Farmers of Canada: Asian Chicken Wings. Soooo tasty! Forget the frozen boxed wings – try making them yourself. I promise, it’s not that hard. Buy the chicken wings that are already split so you can save yourself an extra step. Then it’s just a matter of creating a delicious marinade and popping them in the oven to bake. These Asian Chicken Wings have so much flavour. 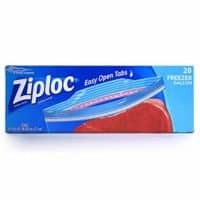 They are sticky and sweet so have some napkins near by. I love that the peppers add a pop of festive red and green colour to the dish. They bake right with the wings. My family devoured these wings so I know we have a winner here. They are easy to make so I’ll definitely be making them again over the holidays. This post also closes out my year as a Chicken Farmers of Canada Ambassador. I’d like to thank the Chicken Farmers of Canada for including me as one of their ambassadors. I love working with them sharing both the delicious chicken recipes and information about chicken farming in Canada. I’ve worked with them for several years now and it’s truly been an honour. I always remember how hard our chicken farmers work and what they stand for every time I’m shopping for chicken during my grocery trips. Canadian chicken is the best and I’m glad to be part of it – even in a small way with my blog! I hope you enjoyed all the chicken recipes I’ve shared with you this year! Time saving tip: Use my hack on how to cut a bell pepper! Sticky, sweet and delicious! This yummy appetizer is a real crowdpleaser. Add Hoisin sauce, vegetable oil and ginger to a large resealable bag. Mix ingredients together in the bag. Place chicken wings inside bag and coat wings in sauce. 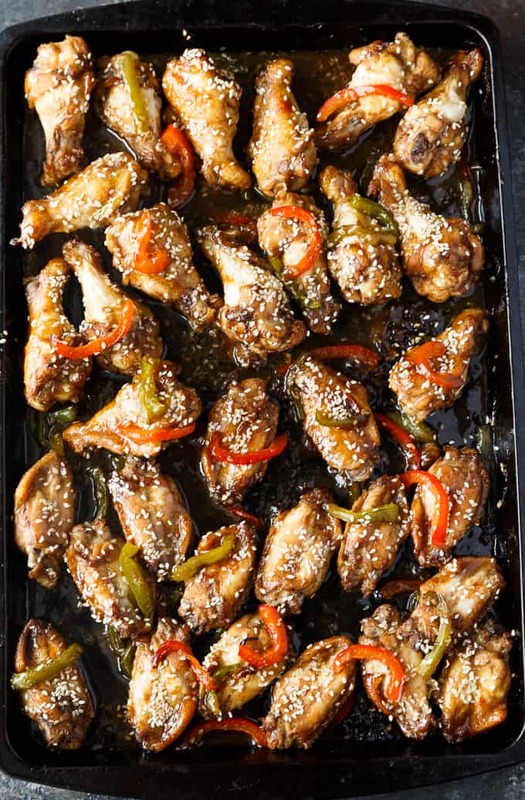 Remove chicken wings from bag and place on a large baking sheet. 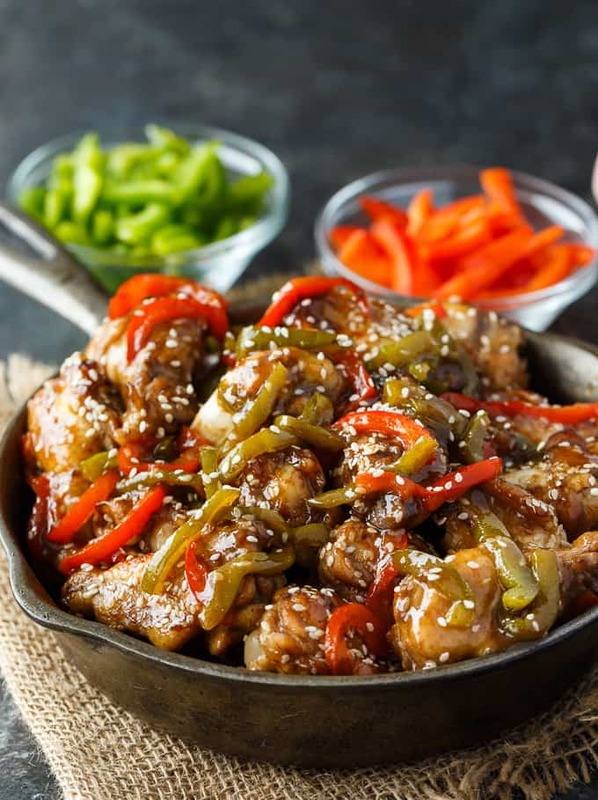 Sprinkle peppers on baking sheet with wings. Sprinkle wings with half of the sesame seeds and place in the oven. Bake for 15 minutes. 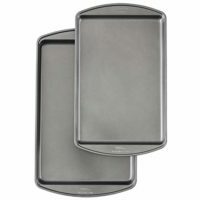 Remove baking sheet from oven and turn wings over to the other side. Sprinkle wings with remaining sesame seeds and return to oven. Bake another 15 minutes or until wings are thoroughly cooked. Follow the Chicken Farmers of Canada on Facebook, Twitter, Instagram and Pinterest. I love thai chicken bites, they are easy to make and enjoyed by my family. My favorite chicken appetizer is Awesome & Easy Chicken Wings. My favourite chicken appetizer recipe is for chili chicken bites! I love the tangy sauce with marinated pieces of chicken and chopped vegetables including shredded carrots, and celery! The mini Mexican meatballs look great! The mini Mexican meatballs look pretty good. I’m sure the family would like them. We love making chicken meatballs for appetizers! I really like making my taco dip with ground chicken, so easy and such a crowd pleaser! Boneless Chicken wings with hot sauce. My favorite appetizer is the chicken-feta-bruschetta. I would try the baked balsamic chicken wings. I love any kind of chicken wings! Spicy chicken nachos are my favourite shareable appetizer. They get gobbled up so fast! My fave chicken recipe is chicken fried rice. Simple, quick and yummy! The mini Mexican meatballs look fab! I really like the Apple Cider Poached Chicken & Arugula Salad!! YUM! I like that these are baked and they look super simple to make! I’d love for you to share over at a new party called Let’s Party https://themarkandjanshow.com/2018/01/02/lets-party-2/… look forward to seeing you there! These pictures are amazing and are definitely convincing me that I should make these soon! 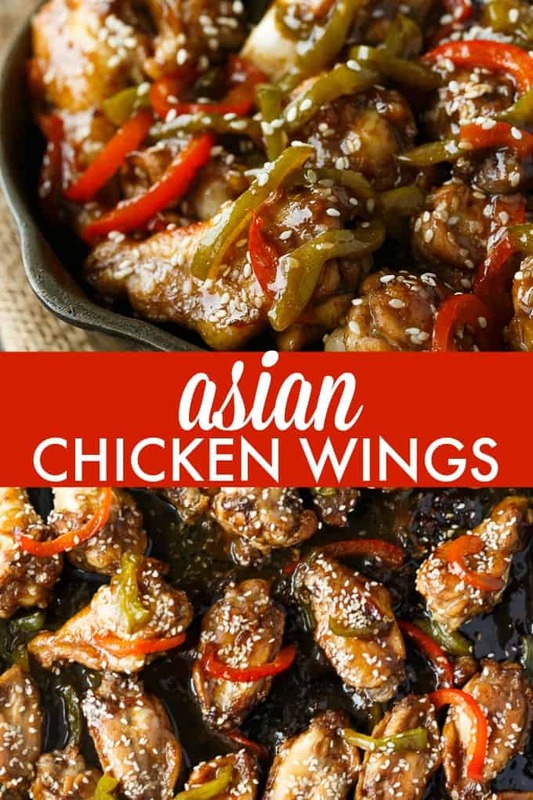 Your Asian Chicken Wings look amazing! Happy to see you here at Full Plate Thursday and thanks so much for sharing with us. I can see why your family devoured it! Looks so good! I’m sure it’s as good as it looks too. 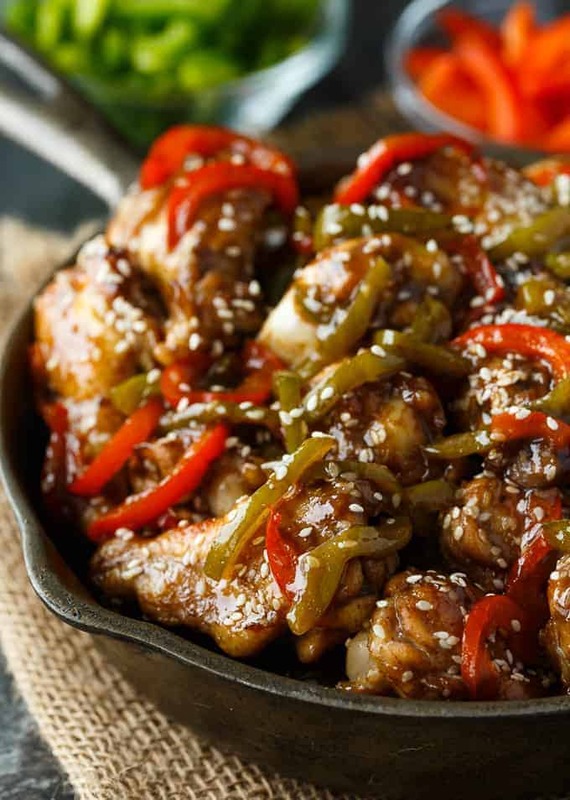 Do not like restaurant varieties of chicken wings much, but this is one on my list to try.